Today we have a guest post by Christine Chettle from Reading the Fantastic. Reading the Fantastic is an initiative based at the University of Leeds in the UK to bring together fellow enthusiasts of fairy tales, folk tales, and fantasy literature through reading groups and seminars (plus coffee, tea, wine and snacks), with a specific focus on exploring stories across cultures and disciplines. An email conversation between myself, part of the Reading the Fantastic initiative in Leeds, UK, and Jo Henwood of the Australian Fairy Tale Society, revealed two things: both of us, Jo in Australia and I in Leeds, are co-organizers of discussion groups passionate about fairy and folktales, and both groups are separated by miles and budgets. But, we thought, an exchange of blog posts could provide a concrete way to explore our groups’ mutual interests and to explore how fairy and folktales connect people across time and space. Intriguingly, we already had a point of connection, as a conversation with another AFTS member, Reilly McCarron revealed: one of the first tales my group had discussed was ‘Mr Fox’ — in the version published by Joseph Jacobs (1854-1916). Born in Australia, spending a good deal of his working life in the UK, and dying in America, Jacobs collected and published fairy tales from a number of countries, beginning with English Fairy Tales (1890), in addition to his work in anthropology, cultural history, and folklore. Jacobs represents part of a larger context of people, inspired by collections of earlier tales from other countries, trying to explore new understandings of fairy and folk tales. The Grimms themselves, of course, were in part influenced by the tales of Marie d’Aulnoy, originator of the term ‘fairy tale’, and Charles Perrault (among others), who were themselves influenced by earlier Italian writers (and so on it goes). In the nineteenth century, for example, John Ruskin and George MacDonald wrote new fairy tales (‘King of the Golden River’  and ‘The Light Princess’ ) in response to earlier collections. At the end of the nineteenth century, the cumulative cultural influence of Hans Christian Andersen’s and the Grimms’ collections, along with various translations of The Thousand and One Nights compilation of Arabic folktales, prompted fairy tale scholars and enthusiasts to collect and study fairy tales in an extended and diffused critical context: as well as Jacobs, see the works of Antti Aarne and Andrew Lang, for example. Folktales [ . . .] embody our shared fantasies, fears and experiences. Understanding which elements of them remain stable and which ones change as they get transmitted across generations and societies can therefore provide a unique window into universal and variable aspects of the human condition . . . .[and] represent a potentially rich point of contact between anthropologists, folklorists, literary scholars, biologists and cognitive scientists. Another boy born in the Southern hemisphere who later travelled to England was also influenced by the study of fairy tale collections. Literary scholar, linguist and author John Ronald Reuel Tolkien, in discussing what prompted him to create his Middle-Earth legendarium, explained that his dissatisfaction with existing folk tale work was one such prompt: “I was from early days grieved by the poverty of my own beloved country: it had no stories of its own (bound up with its tongue and soil), not of the quality that I sought, and found (as an ingredient) in legends of other lands” [quoted in Fimi, page 50]. Tolkien’s searches led him to build a fantasy literary world which combined his own experience with a knowledge and appreciation of a number of other cultures. Of course, the intersections of race in Tolkien’s world contain complexities and flaws; for a well-researched, comprehensive and nuanced discussion of this matter, I refer you to Dimitra Fimi’s Tolkien, Race and Cultural History: From Fairies to Hobbits. Investigating the intersections of folktales and fantasy means acknowledging all the different ways, both positive and negative, in which myriads of tales impact the huge range of voices who read and speak them, and the tensions such impact can evoke. Lady Mary, the heroine of Mr Fox, walks the complex path of analysing and connecting text with audience as she transmits her experience to craft a subversive narrative. One day, she follows her fiancé to his house; passing mysterious signs proclaiming, firstly just ‘Be bold, be bold, but not too bold’, then ‘Be bold, be bold, but not too bold/Lest your life’s blood run cold’, she sees these words come to life as her fiancé overpowers and murders a young woman, another of his brides, while Lady Mary spies on him. Her wedding feast gives her the opportunity to overpower this murderous man, since she is surrounded by many witnesses – yet Mr Fox controls the conversation. By initially presenting her tale as a dream, she can command attention without being silenced; by gradually increasing her tone of discomfort in uncovering scenes of horror, she builds fascination through the cumulative mystery she relays. When she finally reveals the dead woman’s hand and accuses her murderous fiancé outright, the witnesses at the feast are ready to kill on her behalf, redeeming her from a destructive social contract. While we are unlikely to battle vulpine fiancés and discussion groups generally don’t incur violence, as we seek to understand the tensions beneath tales and explore how they connect us to other people, we too can gain the power to transmit experience across barriers of social space as well as time. The discussion group format extends this power, as in this context, no one person controls the conversation (well, certainly not to the extent of Mr Fox) and we can all join in discovering and uncovering the subversive dynamics in folk and fairy tale lore. For more information on Reading the Fantastic, visit their site: http://reading-the-fantastic.tumblr.com/, their facebook page (https://www.facebook.com/ReadingTheFantastic),Twitter (@FantasyReadings) and by email (readingthefantastic@gmail.com). Christine Chettle blogs here (www.fantasiesofthevictorians.blogspot.co.uk), tweets @Cherissonne and can be reached at c_chettle@yahoo.co.uk. Her write-up of the Reading the Fantastic session featuring Mr Fox is here. The two wonderful keynote addresses from our inaugural 2014 conference and our recent 2015 conference are now available to everyone on our website at Events > Previous AFTS Events. Both Sophie Masson and Carmel Bird are captivating speakers and we are delighted to share their addresses with you all. Enjoy! It’s Almost Fairy Tale Ring Time! We have a recommended reading list being put together by the extraordinary Jo Henwood and it appears there is no lack of things to discuss when is comes to Rapunzel. The list has continued to grow daily with additional suggestions from all quarters and Jo is busy spinning it all together it all into a handy reference for research, inspiration and discussion gold. We should be posting it in the next day or so… stay tuned! Well, we can’t believe that the second annual AFTS conference has been and gone! What a wonderful day of thought-provoking discussion and inspiration. Thank you to all of our presenters, attendees and those working behind the scenes – you all came together to create a special vibe of warmth (despite it being mid-winter!) and camaraderie. We are currently looking at our footage and sound recordings from the day, so if the tech fairies are working in our favour, then we should be able to put most of the presentations online as we did last year. On the day of the conference we also had the AGM and the election of the new committee. It was with sadness that we farewelled our wonderful first president, Reilly McCarron, and our very extraordinary ordinary member, Thang Luong. We will miss you! Belinda Calderone is currently teaching and completing her PhD in Literary Studies at Monash University. 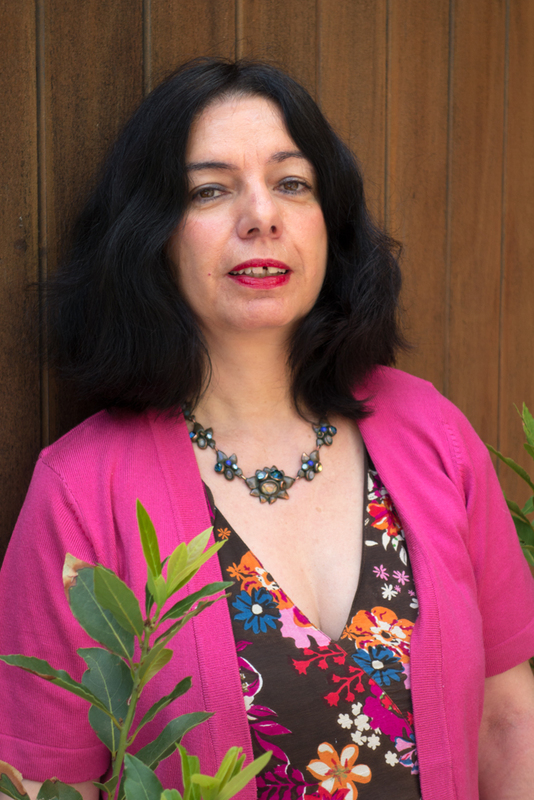 Her thesis is entitled ‘Mothers, Monsters and Midwives: The Evolution of Motherhood in European Fairy Tales.’ She has published and given conference papers on various aspects of the fairy tale genre and has a book chapter in Beyond the Monstrous: Reading from the Cultural Imaginary. Dr Nike Sulway is a writer and academic. 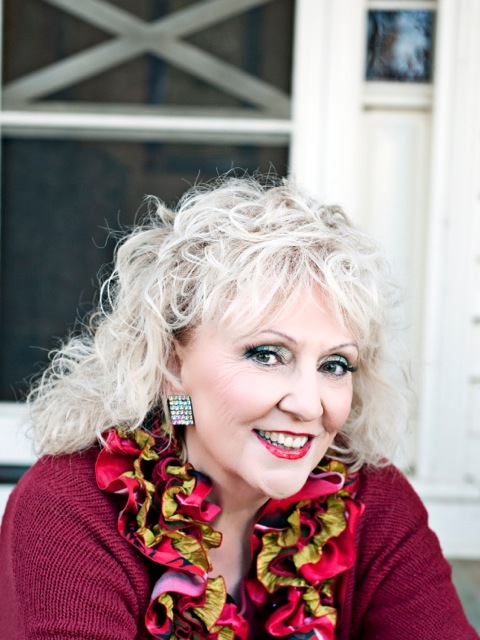 She is the author of several novels, including Rupetta, which—in 2014—was the first work by an Australian writer to win the James Tiptree, Jr Award. The award, founded in 1991 by Pat Murphy and Karen Joy Fowler, is an annual award for a work of “science fiction or fantasy that expands or explores our understanding of gender”. She teaches creative writing at the University of Southern Queensland. I have loved folk tales and fairy tales all my life, from when they were read to me as a young child to when I could borrow collections from the library to today where I still collect fairy tale and folklore literature, watch as many films as possible that use such stories as their starting point and read everything I find that relates in some way to these tales. I am particularly interested in the way transformations of these tales have taken place over the years and across cultures and exploring why some are more successful than others. Catherine Snell is currently undertaking her Honours year at Monash University and holds a BA with majors in History and Literary Studies. Her thesis will examine the representation of the environment in Australian fairy tales, currently a work in progress. She attributes her interest in fairy tales to a childhood love of reading. 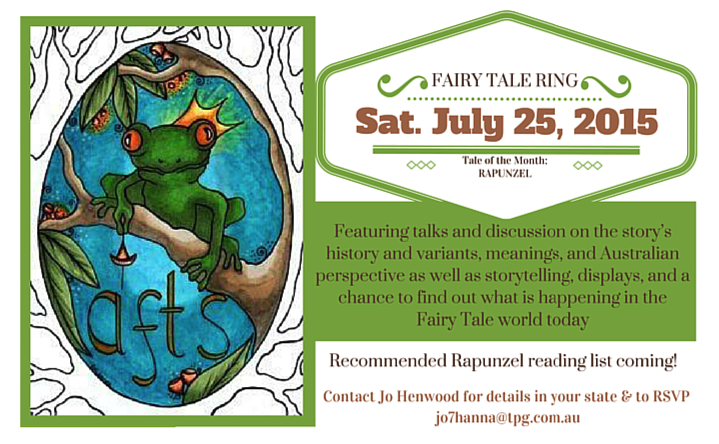 Jo Henwood is an Accredited Storyteller with the Storytelling Guild of NSW, co-founder and Public Officer of the Australian Fairy Tale Society, and the Ring Maiden who coordinates the Fairy Tale Rings. She is qualified in Cultural Heritage, Museum Studies, Gifted Education, Tour Guiding, and Librarianship. As well as storytelling Jo works as a Tour Guide and Education Officer in various Sydney heritage sites. She also organises the Professional Development Days for Museums Australia Education and the first World Storytelling Day celebrated in Sydney. Her favourite fairy tales have turned out to be the Animal Bridegroom variants. Her greatest delight in the AFTS has been discovering new meanings in familiar tales and being provoked to create Australian interpretations, as well as meeting some fascinating people. Aussie abroad, human/zombie hybrid & fairy tale writer/researcher-mama who wishes she had tastier brains to snack on. (Grows her own hair.) Known as the Fairy Tale News Hound of Once Upon A Blog, reporting daily FT news since 2009; fairy tale student, enthusiast & researcher since 1980. Teaches kids to love (& create) art. Has put bread on the table via Disney Features, TV & Special Projects animation, visual R&D (film), theater (director, writer, producer), animal rescue work, articles, short stories & one non-fiction book. Also admits to being various characters and a puppeteer of a touring children’s theater company. Dr Rebecca-Anne C. Do Rozario teaches fairy tales, fantasy and children’s literature at Monash University. She has published in a range of scholarly journals and books, writing about topics including Disney princesses, Harry Potter wrock bands, and old women in fairy tales. She also publishes the occasional short story, including a tale about Glinda the Good Witch in Aurealis, and knitting patterns. Well, that’s the whole team! We’re all excited about the future and look forward to many more fairy-tale adventures ahead.